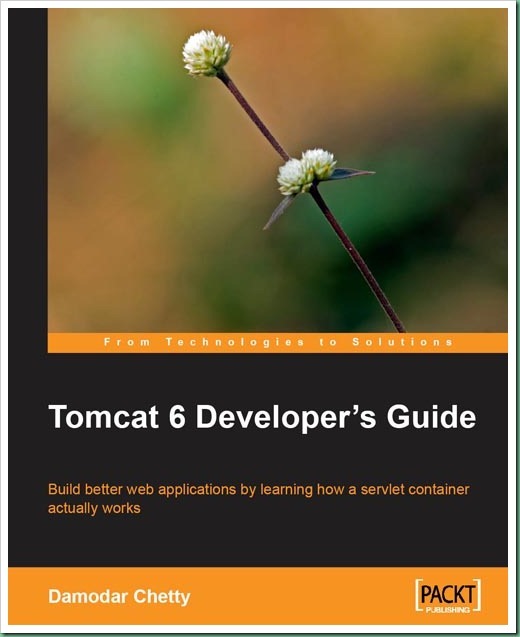 Recently I have been contacted by Amit Sharma, Marketing Research Executive from Packt Publishing asking if I will be interested in reviewing their recently published a book titled Tomcat 6 Developer’s Guide. For me, it is just like reviewing something you are very much in and of course, you can’t refuse such an offer when you already consider yourself as kinda subject matter expert in that technology. Therefore, though shamelessly, I have agreed and ordered complimentary e-copy of this book. From Subject Matter Expert, I got reminded of congratulating my roomie Pankaj Kumar Bhardwaj (you have been knowing him as Chunks on this blog) on his new job at AmDocs as Senior Subject Matter Expert (he himself is still not sure what Subject word stands for in his designation!). Something about Packt Publishing – as I have come to know about this publishing house, it is in operation from year 2004 and has been publishing books on versatile IT topics including various systems, applications, and frameworks. Also they are doing good job in supporting and funding Open Source projects by paying royalty from the sale money of the books on corresponding projects. 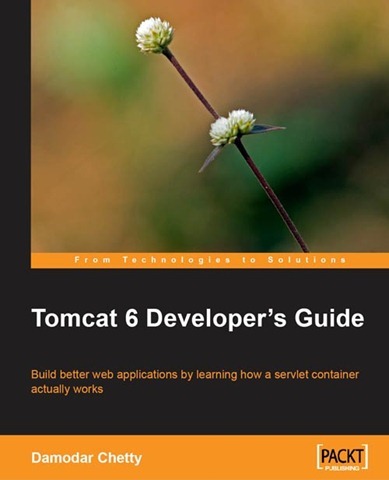 About book, Tomcat 6 Developer’s Guide begins by providing detailed instructions on building a Tomcat distribution. It introduces readers to the conceptual underpinnings of web servers, the Java EE and servlet specifications, and the Tomcat container. Key Tomcat components and the internal workings of each component are explained in detail in this book. Tomcat installation, stepping into key Tomcat components, as well as into your own custom servlets are illustrated with the help of examples. Take your Java EE web programming skills to the next level by getting an expert’s level understanding of the servlet specification and its reference implementation, Apache Tomcat. Build a Tomcat distribution from its source code, and explore the components, classes, and technologies that make up this container. Use standard development tools such as Eclipse, Ant, and Subversion to dissect a Tomcat distribution. Discover the touch points between the servlet specification and a servlet container’s implementation. So fellas, hopefully you can expect a review from yours truly on this book as soon as I complete reading it.